If you haven’t met her yet, her name is Elle, and she’s my guest blogger today. She’s one of those people that I can’t spend enough time with. I tend to really lose my chill around people who have double consonants in both names. It’s just more fun and sort of not fair that only some people have that cursive luxury. 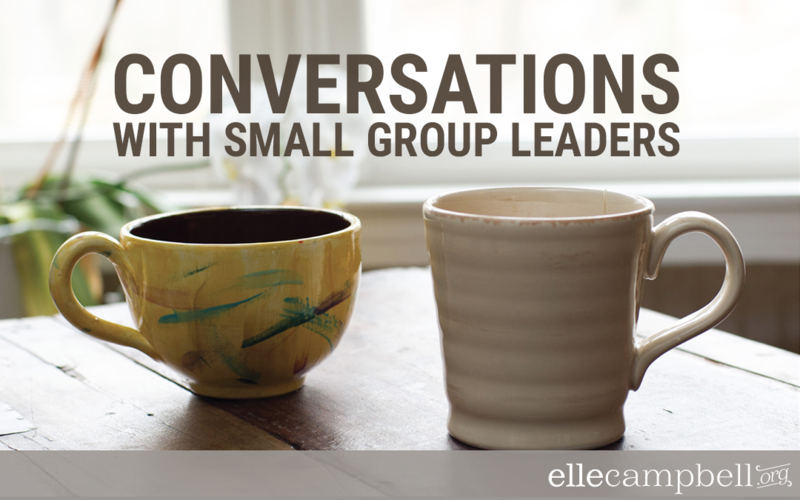 Anyway, I love getting to work on fun things together with her–most recently–a little e-single for people to learn how to talk to their small group leaders. I thought you’d be delighted to hear from her today. If you like where the post is heading, you can subscribe to read the rest of our e-single in the link below! We take turns telling stories and sharing tips. Sweet deal Lucille! Enjoy, and be sure to tell us what you think. The bad news: only two of their SGLs had. Our staff walked away from that morning asking two things. (Okay, three if you count: “Am I fired?”) We needed to know: How did this happen? And how do we stop this from happening again? We were not leading our SGLs as well as we had thought. Our structure did not support small groups as well as we had thought. To read the entire E-Single, subscribe to Weekly here!